Lab/Jr. 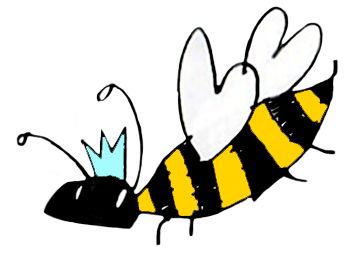 brings dynamic, meaningful learning, and artistic adventure for kids ages 0-13, carefully crafted by our Director of Family Education Shira Kline (aka ShirLaLa) + our talented Lead Educators and Advisory Circle. Start the morning together with your kids at our three different Family Friendly Worship options (9am-9:45am), followed by Kids Programming that runs concurrently with main worship. TO REGISTER: When you purchase passes for the High Holy Days, make sure to provide your kids’ names and ages; they will be automatically registered for all Lab/Jr. Programming. Please note that if your kids do not participate, they are expected to stay with you during worship. "It was the most inspiring and engaging children's worship experience. I have truly never seen anything that comes close to what you created." Filled with imaginative play, movement, and music, all programs are inspired by this year's theme, "Aleinu: It's On Us". PlayLab (ages 0-4 + an adult): Led by veteran Storahteller and master educator, Shawn Shafner. Parents with children are invited to drop in at any time for PlayLab activities. 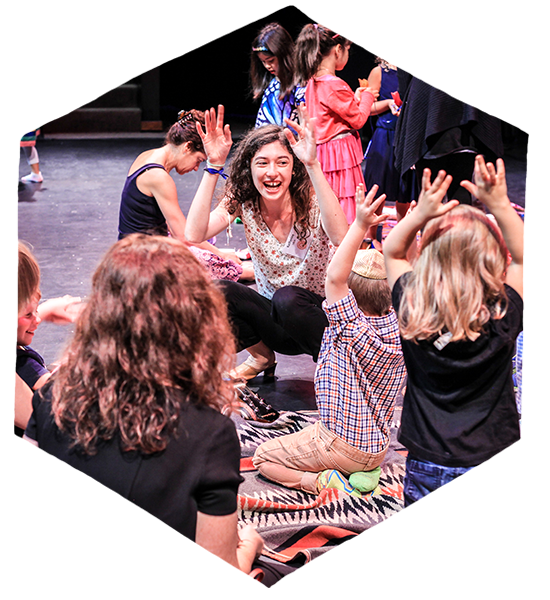 KidLab A (ages 5-7): Led by FamilyLab’s beloved co-leader and music specialist, Katherine Sackman + Tabletop Torah Storahtelling w/ master puppeteer Ora Fruchter. KidLab B (ages 8-10): Led by Jewish experiential educator Lauren Marder + Tabletop Torah Storahtelling w/ master puppeteer Ora Fruchter. TweenLab (ages 11-13): Led by our Raising the Bar Justice Club's very own Melissa Shaw and Jewish Emergent Network Rabbinic Fellow, Rabbi Emily Cohen. TweenLab visits main worship for the adult Storahtelling performance and explores this interpretative Torah experience through our signature Storahtelling methodology. Recognized as a “revolutionary educator” and named one of the “new re-engineers of Jewish life,” Shira works worldwide as a performance and ritual artist. 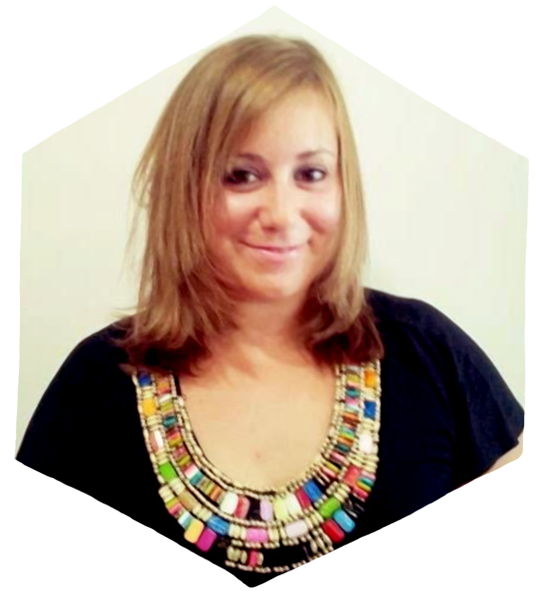 She is a co-founder of both Storahtelling and Lab/Shul. When you flip her upside down, she is ShirLaLa kiddie rocker, sacred musician and educator with the little ones. Ora Fruchter writes and performs regularly with Doppelskope and Yellow Sneaker Puppets, using puppetry and music to explore topics ranging from existential dread to ecological crises. Her work in Jewish communities creates open spaces for self-expression and collaboration. She was selected as one of the Jewish Week's 36 Under 36 (2017). Liz Bossov is originally from NYC but currently resides in the Poconos. She works as a Registered Nurse and loves to care for others, as well as spend time with her poodle and her dear family. Liz is so excited to be a new member of the Lab/Shul Family after growing up as a songleader and camper in the Reform movement. 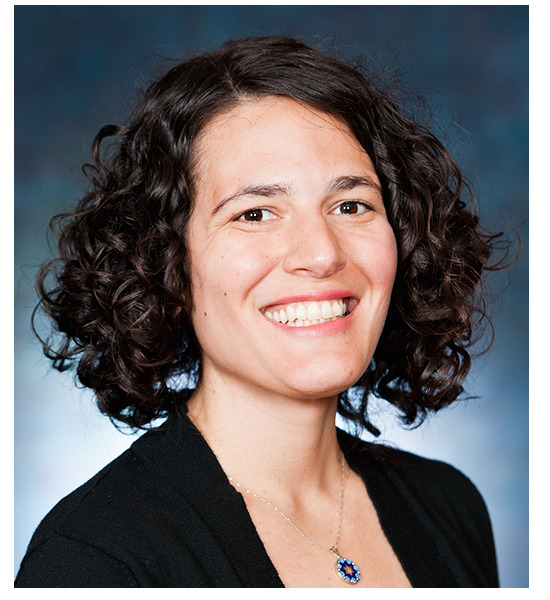 Laura Marder (Lead Educator) is a middle school Judaics teacher at Hannah Senesh, using text and tradition as a language and structure for reflection and action. She studied with the Pardes Educators Program. A Brooklynite, Laura helps plan Brooklyn Beit Midrash events and mentors new Pardes Educators in the field. Arianna Passaro earned her BA in Anthropology from Northeastern University and worked in consulting before volunteering in Sri Lanka in 2016. This reignited a passion for early childhood education. Arianna is now an assistant preschool teacher at Luria Academy of Brooklyn. Sara Ravid is a theater director, producer and educator. She spent her gap year abroad in Israel with the Israeli Scouts teaching in elementary schools, founding and facilitating an award winning after school program, and mentoring high school students. 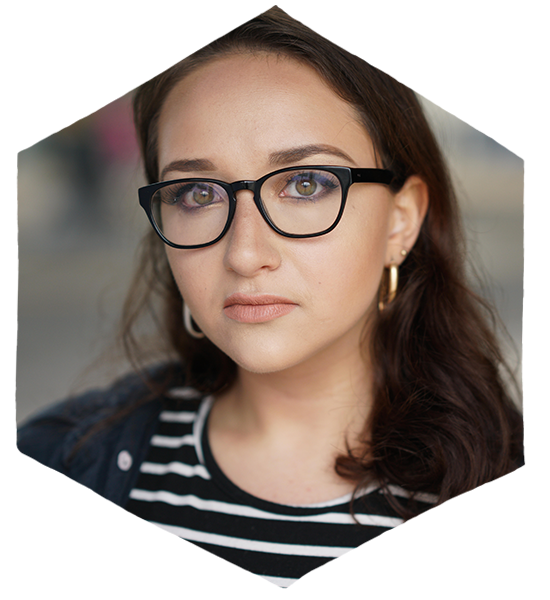 A recent graduate of NYU Tisch, her work has been performed in Dixon Place, Planetary Connections, and the Actors Fund Theater. Katherine Sackman (Lead Educator) is a musician & educator based in Brooklyn with TKIYA: The Jewish Community Music Initiative. With a degree in music education, and the heart of an artist, she has four years experience reinvigorating diverse Jewish communities with song and magical love. She is grateful to be celebrating these high holidays with the Lab/Shul community for her second year. Deanna Schwartz, an actor in New York City, earned her BFA from Pace University. She teaches improv, acting, character development, a writer’s workshop, and puppeteering at PS 196, Kathy Wickline Casting, and with the children theater company "The Toy Museum." Shawn Shafner (Lead Educator) is an artist, educator and activist. Creator of The People's Own Organic Power Project (www.thePOOPproject.org), he has catalyzed conversation about sustainable sanitation from NYC's largest wastewater treatment plant to the United Nations. Shawn teaches movement through the lineage of acclaimed choreographer Tamar Rogoff, sings with Marisa Michelson’s Constellation Chor Ensemble, and develops arts-integrated curriculum for learners of all ages. Melissa Shaw (Lead Educator) is a writer, theater artist, and educator who has conducted workshops in schools, detention centers, corporate offices, and homeless shelters. Melissa facilitates state-wide workshops for a variety of the Anti-Defamation League's programs, including its World of Difference Institute, Words to Action and the Respect for All professional development initiative. This summer she was on faculty at Drew University's Institute on Religion and Conflict Transformation. Ilana Symons is in her third year at New York University, studying Philosophy and Judaic Studies. 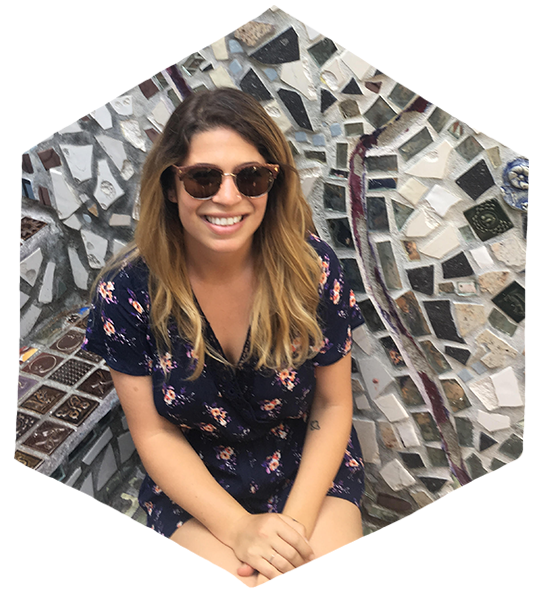 She was involved in NFTY and other URJ programs in her hometown of Pittsburgh and continues her love of Judaism as a religious school educator across the city. She aspires to become a rabbi and has a passion for social justice.